Why don't gksu/gksudo or launching a graphical application with sudo work with Wayland? No ask_pass set, using default! If I don't use -g, the password dialog is disabled. So looks like a problem with creating a tty for root. Note this answer is specific to versions of Ubuntu using Wayland, 17.10 being the first release to use Wayland by default. It is a feature not a bug! 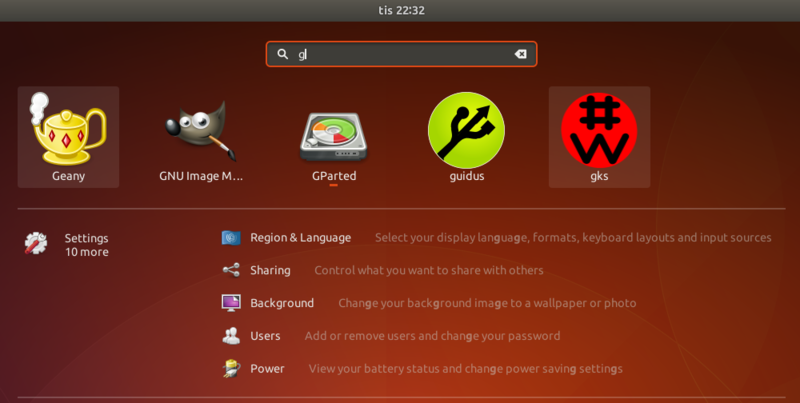 It is a design feature of Wayland that you can not start graphical applications as root from the terminal. The main discussions are of course on the Fedora sites. See Fedora bug #1274451 and Graphical applications can't be run as root in wayland (e.g. gedit, beesu, gparted, nautilus) on Ask Fedora. But there is some discussion on the Ubuntu sites as well (Ubuntu Devs Uncertain about Using Wayland by Default in 17.10 - OMG! Ubuntu). Potential work around - If you are editing system files with a graphical editor (such as gedit) use a command line tool such as nano or vim or emacs. nano is typically easier for new users, vim is more powerful and has more features, see this Vim Tutorial or similar. At any rate , if you really want or need to run graphical apps as root, set xhost first which forces fallback to Xserver. You can name the aliases whatever you wish. What are xhost and xhost +si? See How do you switch from Wayland back to Xorg in Ubuntu 17.10? 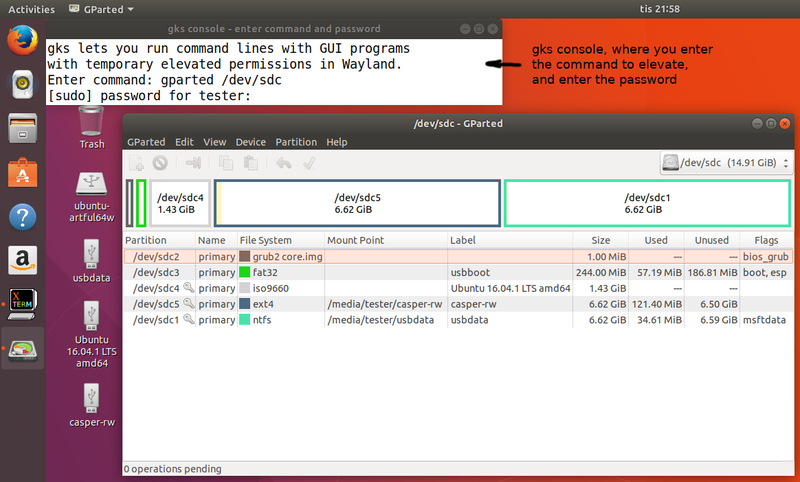 In Wayland it is often difficult to run GUI application programs with elevated (sudo -H, gksu ...) permissions. It is a good idea to do such tasks with command line tools. gksu and gksudo are not bundled with standard Ubuntu and do not work here, but they work in Xorg. In theory, the gvfs admin backend method (which uses polkit) is better and safer (than xhost and xudo -H), regardless of the UI you use. This is post #4. See also post #6 in the same thread. How do I start Nautilus as root? in a way similar to how you used gksudo before. sudodus@xenial32 ~ $ sudo bash -c "echo ~"
sudodus@xenial32 ~ $ sudo -H bash -c "echo ~"
sudodus@xenial32 ~ $ gks bash -c "echo ~"
according to the example in the previous section. Instead of adding a simple one-line function to ~/.bashrc, you can make a system, that works also without bash. It may be convenient to use, but is more complicated to set up. Please notice that you should install only one of the alternatives, because the one-line function will disturb using this more complicated system. xterm -T "gks console - enter password" -fa default -fs 14 -geometry 60x4 -e sudo -H "$@"
Logout/login or reboot, and there should be a working desktop icon. It will work from a terminal window like with the simple solution with the function. If you have only a few GUI applications, that need elevated permissions, you could make custom scripts and desktop files for them and avoid entering the command (application name). 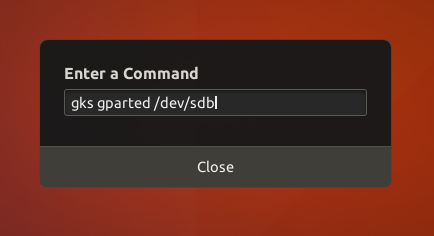 You would only enter the password, which is not more difficult compared to the previous versions of Ubuntu (you should enter the password anyway). If you are using Ubuntu 17.04 or higher, it is recommended to use the gvfs admin backend. Simply add admin:// to the front of the full filepath you want to open in an app like the Text Editor or the Files apps. This method uses PolicyKit and will still work with Ubuntu 17.10's Wayland default, while sudo and gksu for GUI apps won't. Other root applications are broken on Wayland too (see bug 1713313 and bug 1713311 ). If an application support Wayland API you can run it as root using sudo -EH application command. The -E switch tells sudo to preserve environment variables (as well as WAYLAND_SOCKET and XDG_RUNTIME_DIR) needed to wayland applications. It is always better to use this option over nasty xhost hack proposed in other answers. xhost allows the application to run from under X wrapper which is less secure than using Wayland (shared clipboard, keylogging etc). The sudo -EH trick wont work with an application that hadn't been rewritten for wayland, like gparted for example, but would work with gedit etc. (please excuse me for naive style of bash coding- I'm a sort of newbie with this subject). T doesn't work stable from Alt-F2, if last selection was not a terminal; in this case we just cannot set focus to password dialog Looks like it works from Gnome menu. Anyway< 1. It is not a 100% solution. 2. It seems to me that Ubuntu architects think that we are not supposed to search any work arounds..
Not the answer you're looking for? Browse other questions tagged root gksu wayland or ask your own question. What's the difference between sudo and gksudo when launching graphical applications? Sudo or gksu for launching Sublime text 2?